If Colorado had a patron saint, John Denver would be it. The singer-songwriter who recorded “Rocky Mountain High” in 1972 wasn’t looking to create a state anthem (though he clearly did); he was simply describing the life-affirming magic of big sky and beautiful peaks. “He was born in the summer of his 27th year….” The song’s first line was pure autobiography. Denver spent much of his life in Aspen, enjoying his family and the outdoors. Annie agreed to Woods’s idea, and the pair came up with a plan for much more than a memorial. 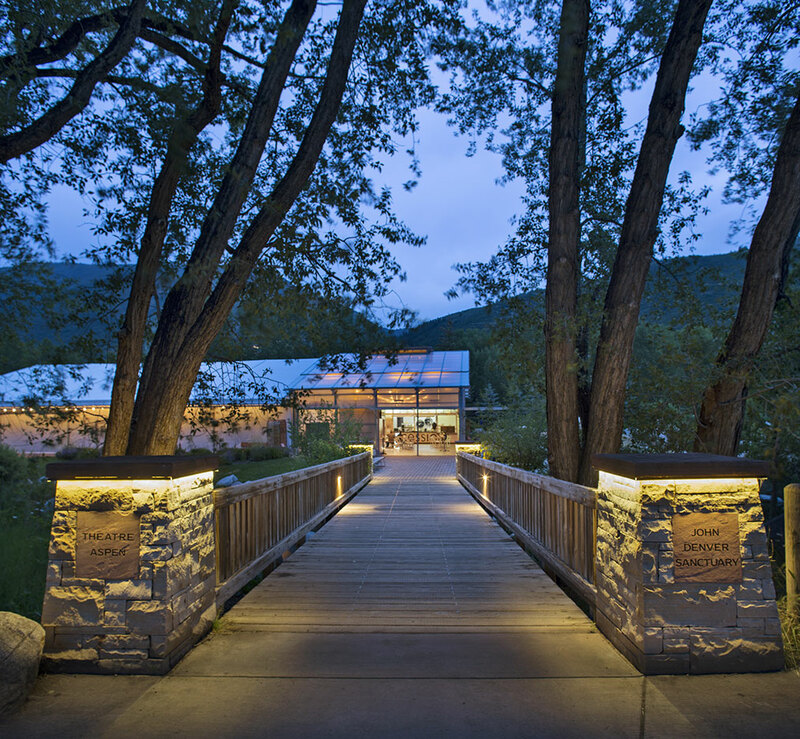 They envisioned a contemplative space that would prod one to ponder the human spirit, nature, and preservation. 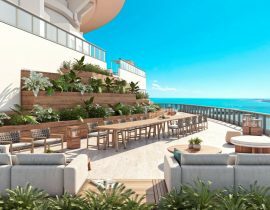 “We decided to call it a ‘sanctuary’ and that it should reflect John’s passion for nature and protecting the environment,” says Wood. 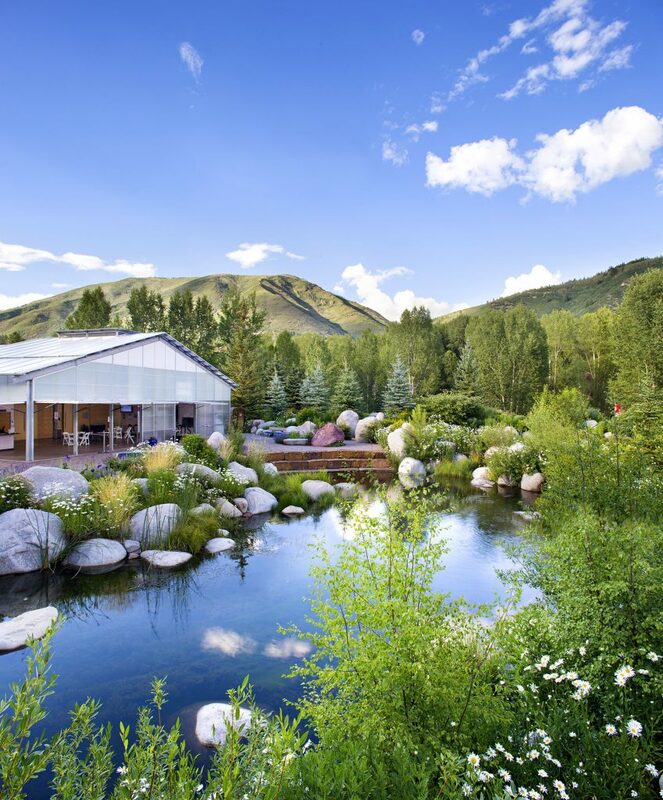 The 4.5-acre sanctuary rests on what had been a long-ignored industrial site adjacent to Rio Grande Park and the Roaring Fork River. The first phase of the project, John’s Song Garden, was completed in 1999. It includes about 40 massive, 50-ton boulders placed in a circle and engraved with quotes from Denver’s songs as well as the musings of philosophers and poets from Helen Keller to Hunter S. Thompson. In its center stands a single Colorado blue spruce to honor Denver’s spirit. Concentric rows of smaller boulders surround it, as do groves of trees, shrubs, wildflowers, and perennial gardens. 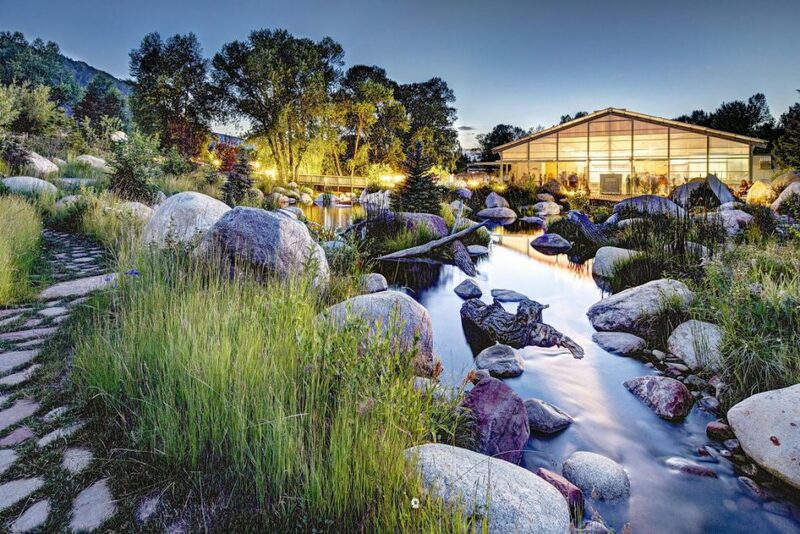 The sanctuary’s most ambitious project, the Wetland Gardens, was built by Aspen Parks Construction and Recreation crews over five years and finished in 2017. These seemingly simple wetlands are a deceptively complex filtration system that removes more than 95 percent of the pollutants in the city’s water runoff, allowing the sanctuary to replenish the land as well as the soul. 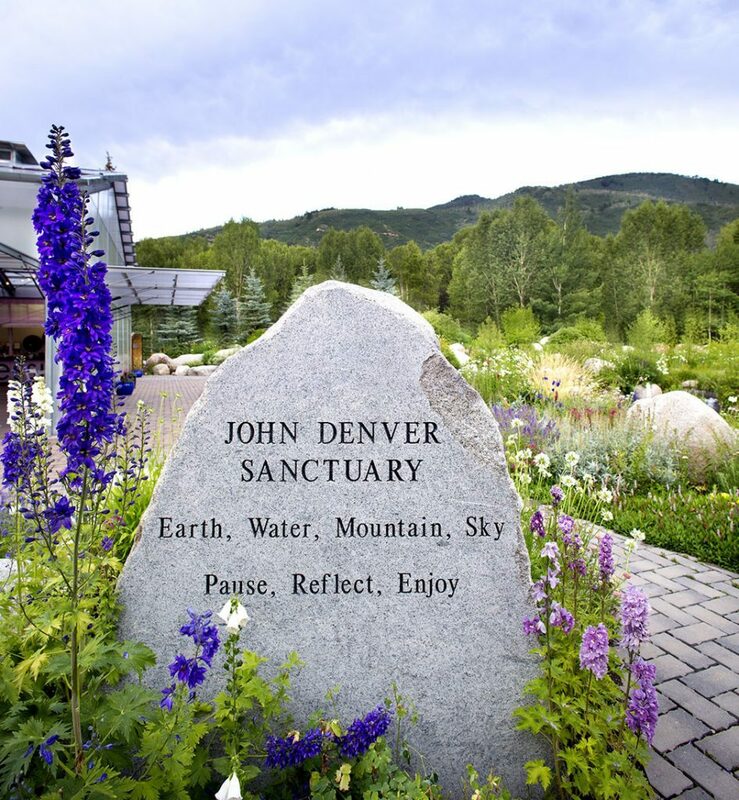 According to Aspen Parks, the John Denver Sanctuary attracts about 50,000 visitors from around the world annually. 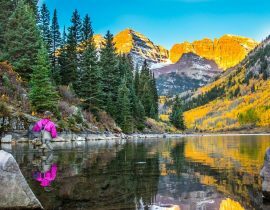 Like the Aspen locals, they come to stroll, picnic, and simply meander through the beautiful scenery. 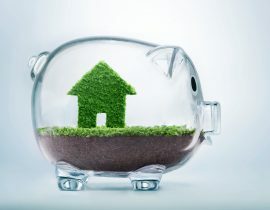 Find your next home in Colorado today.